This shop possibly has the sweetest name ever, and even sweeter candles! You Are My Sunshine UK sell beautiful handmade natural soy candles packaged in authentic Ball Mason jars and finished with cute vintage style material! 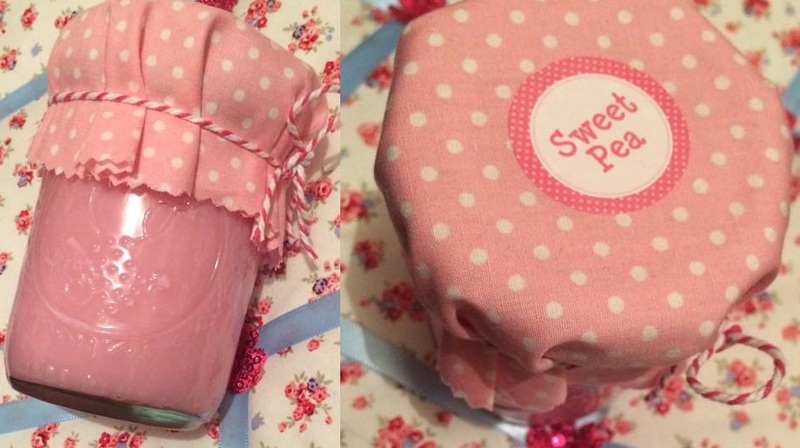 The candles are hand made in batches using 100% natural soy wax and a cotton wick. So they're fairly eco friendly. They are fragranced with essential oils and provide a burn time of approximately 40 hours. The fabric on the top of the vintage-style jar is such a cute idea. It makes the candles look like little jam jars, how adorable! I absolutely love how this candle looks. It's SO pink!! The scent is beautiful as well, as soon as I ripped the box open I could smell it - the sweet pea scent is sweet, floral and all round gorgeous. I am beyond thrilled with my cute candle. It's so pretty and they come in so many different scents from baby powder to grapefruit so there's definitely something for everyone. Check out You Are My Sunshine UK here.